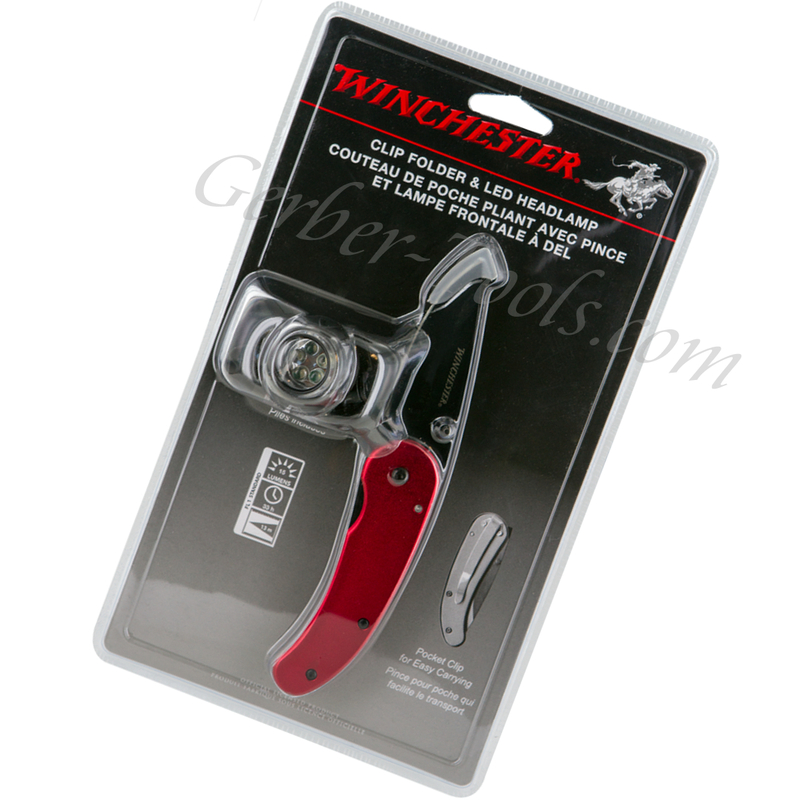 Winchester Knife and Headlamp Combo 31-002654 is the perfect gift. 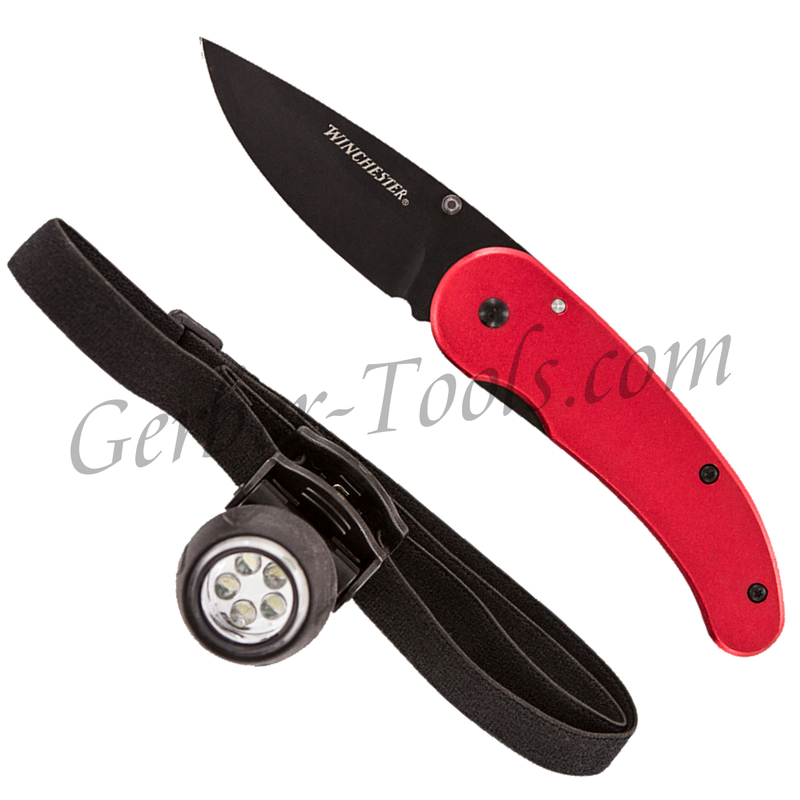 The knife has a brilliant red anodized handle that makes this really stand out. The black coated blade is stainless steel and 2.5 inches long. It opens with the dual thumb studs and stays open with the linerlock frame. A black pocket clip is on the reverse side. The Headlamp gives off 15 lumens, has a 33 hour run time and gives off a 13m beam throw. The strap can be fastened around your hat, head, or sleeve with this pivoting design so that you can have your hands free to do activites will the light is shining. This Winchester Knife and Headlamp Combo is a great combo for everyday and for your next hunting trip, get it now because this is on a limited run of supplies. While supplies last this item is elgible for free laser engraving! Order as many as you like and we'll engrave whatever you want. If you have a logo in file with us this is eligible for free laser engraving as well. If you do not have a logo on file with us there is a $25 digitizing fee. Call our office at (800) 458-1606, and we will process your order with the digitizing fee. If you have a logo on file with us or want text laser engraving add this item to your cart, but do not add the laser engraving option. When you enter your shipping and billing address there will be a notes/comments box at the bottom. Enter your laser engraving instructions there!